Google Chrome has now got lot more themes to Choose from. Just like iGoogle’s artist themes, Google Chrome also has got Artist themes. Google has announced Gaming themes for iGoogle. Preview these themes, without actually applying them. 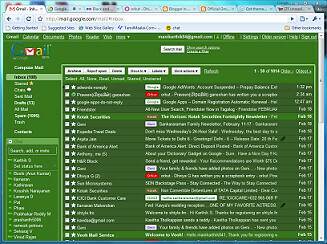 In last November, Google had announced themes in GMail, which had some attractive spicy themes. 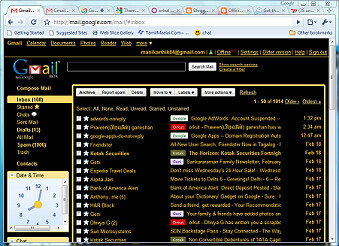 If you are not satisfied with the available themes in GMail, now you can create your own theme for GMail. 1. 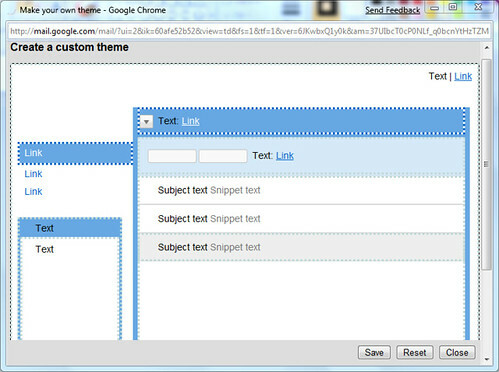 Goto GMail themes settings. iGoogle’s theme maker is available now. Now we can create custom themes ourselves, without any knowledge of xml, within seconds. We can choose a picture to be in the header background. The photo can be uploaded from the PC, chosen from our Picasa album, or any photo available in web. Select colors for the text and title bars of the gadgets, give theme details, you have successfully created a theme !! Google has announced an iGoogle theme creator tool, which we can use to create an iGoogle theme without having any knowledge of xml. We will be able to publish the theme, to be used by others. Let us wait for the tool to be available for us.